I think it is a terrific idea! When we toured Scotland we found it difficult to research everything about every place we were going to stop, much less remember which detail fit which castle or palace or battleground. Our time was usually limited and so we often didn’t get to read everything which would have enhanced our visit until after we’d gone and poured through brochures and booklets. Even the informational display at the castle was difficult to read because of the number of people there trying to read it at the same time. Having the information available in advance and while visiting the castle in electronic form would be wonderful! Ok, so here’s the thing, I am one of those people who lug around a suitcase full of guidebooks, so I’ve recently started researching the electronic travel books to find out if our iPad/iPhones could do the job efficiently. I’ll be looking for “features”. Could your downloadable guide have an audio tour option? I love audio tours, especially if they have little interesting tidbits that you don’t get in the written literature. This would make a purchase price eminently more acceptable, in this age of value for money you need to make sure that people are getting a little something extra since by the time they arrive in Dornie chances are they’re already clutching a generic Scotland guidebook in their grubby wee paws. Definately go with it! I just turned 55 and I am the tech coordinator of a small county school, considering those 2 things my advice is that the future success of any business venture is in being accessible to the young folks, who are looking down at the iphones and droids firstly and then up and out to the world secondly. It’s also about exposure, my sister who is 48 years of age downloads apps to her iphone at a blinding rate, so put ED on the virtual map as it were. I am also assuming there is some revenue generated there as well for Ed, so that can’t hurt either. I’m not sure which service you’re referring to, but I have downloaded podcasts before about places I’ve already been to as well as places I hope to visit sometime in the future. Rick Steves, Neil Oliver and others do walking tours that you can download to your mp3 player and play as you’re walking around different cities/places. Colonial Williamsburg (USA) has a massive series of “behind the scenes” podcasts that go into greater depth than a guided tour ever could. All of these I found very entertaining and informative, and I would recommend them to anyone. That being said, they were all free to download, making them no-risk to me. I don’t know that I would have tried them if there was a charge for them, even if it was a VERY minimal one. I don’t know if this long-winded reply has helped any, but it’s my 2 cents on the subject. Great idea! And I agree with my lovely wife that including this as part of an audio tour would be killer! We recently visited a restaurant that had their wine list on an iPad. You could peruse the list and select your wine automatically. The waiter told me that the novelty factor had increased wine sales! Not directly related to your question but a data point on techonlogy increasing sales. Perhaps you also add the option to purchase items from your gift shop? I think it is a great idea and it would have been nice when I visited there summer of 2009! I believe it would be very educational and help to enjoy the castle if you already knew the background history before arriving! I just love your castle! Good work and I hope you are feeling well after the problems you had this winter. Great idea, I also love the idea of an audio tour that can be downloaded. Have something for free and something that can be bought for a very small price, I would have no problem paying no more than say 2 pound. You can also add it to your admission price I suppose, different admission prices depending on what you are offering. I am also in my 50’s, but do like technology. Hi, a good idea for all the previous points. But had you thought of adding on the facilitie to buy entry tickets in advance ? As you know it can get busy at the ticket desk. a. I suspect that there is not brilliant coverage for all networks at ED – so would it be need to be downloadable in advance? If so, would a videopodcast / series of videocasts be available beforehand? b. Keep the videos short – perhaps one or two minutes on a specific issue. c. Which platform? iPhone? Android? etc. d. If iPhone, remember to leave out Flash. f. Would this videopodcast address access issues for those unable to get to the upper levels? This is a welcome idea – and I look forward to using it! I’d love to be able to download something that would allow me to experience a place I may never have the opportunity to visit in person! This is a perfect plan. I am excited, It will be worth the time ,and effort! 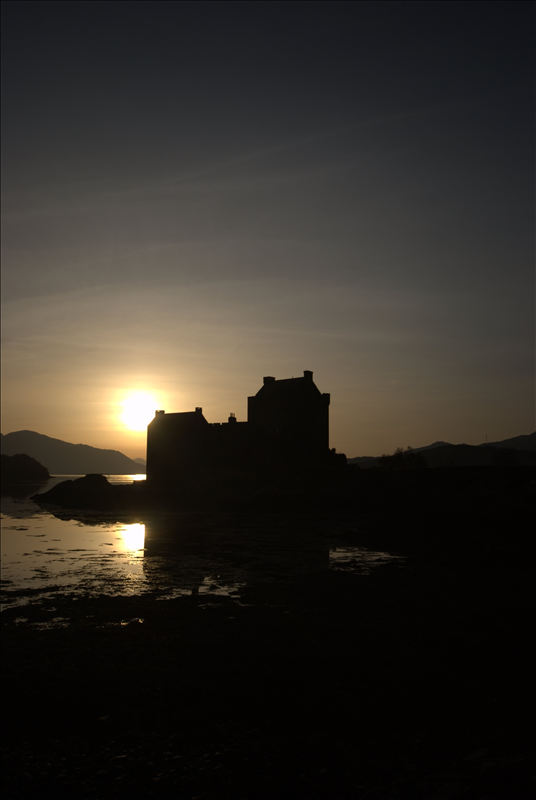 Eilean Donan is my favorite Castle! In a world of Castles..Thank you for your web site and blogg.